Add some luxe to your weekend wardrobe with this ultimate must-have jumpsuit. Featuring a satin material with a frill detail top and a zip fastening. 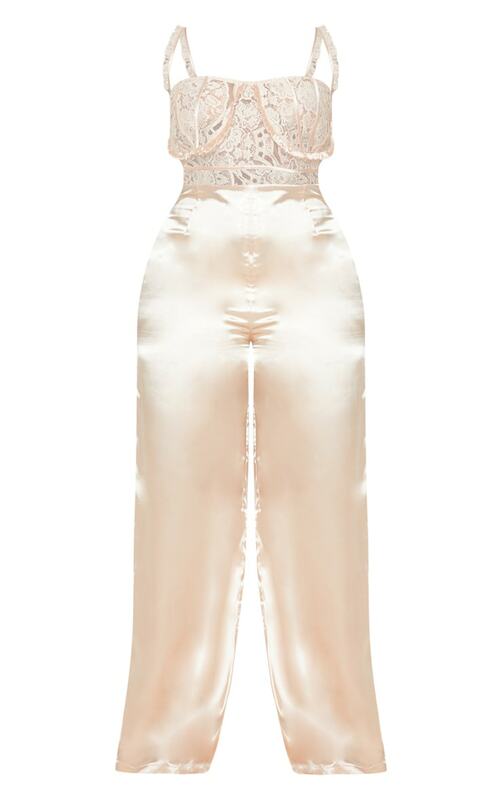 Team this jumpsuit with sky-high heels to finish the look.